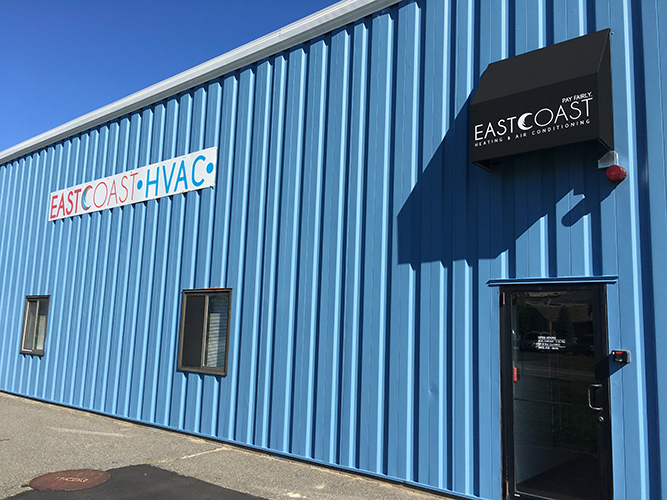 Problem: Existing office space had no air conditioning, and only electric baseboard heaters for the winter months. Offices are often tough to control temperature, since every person has a different idea of what “comfortable” is! 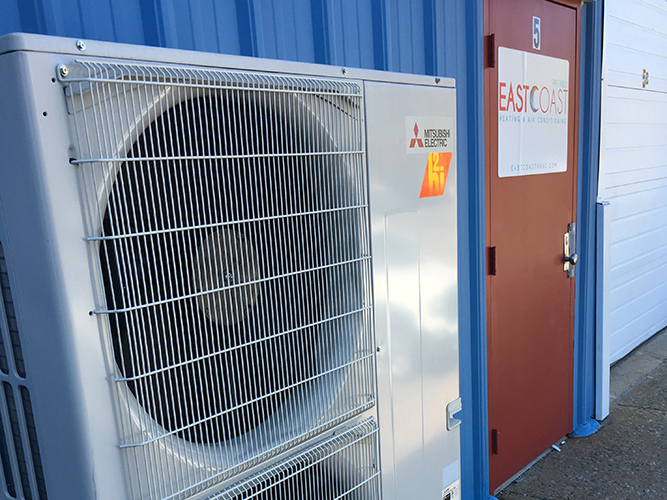 Solution: Five zones of Mitsubishi ductless heating and cooling off of one Hyper-Heat outdoor unit. Individual controls for each office space is nothing short of a dream! 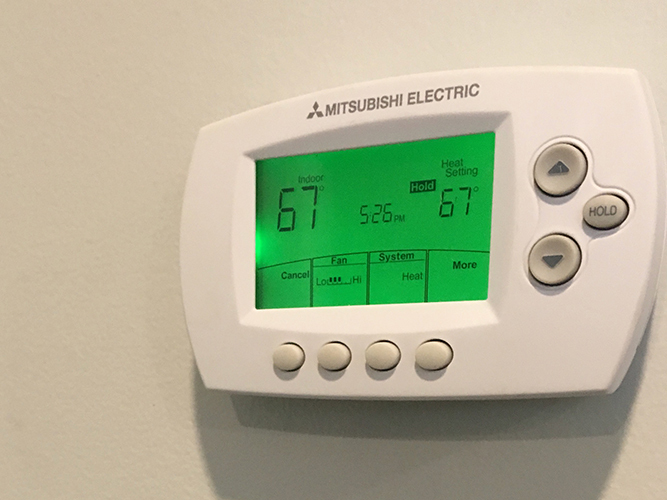 No more fighting over thermostat settings, or using space heaters for certain “cold-blooded” employees in the summer. 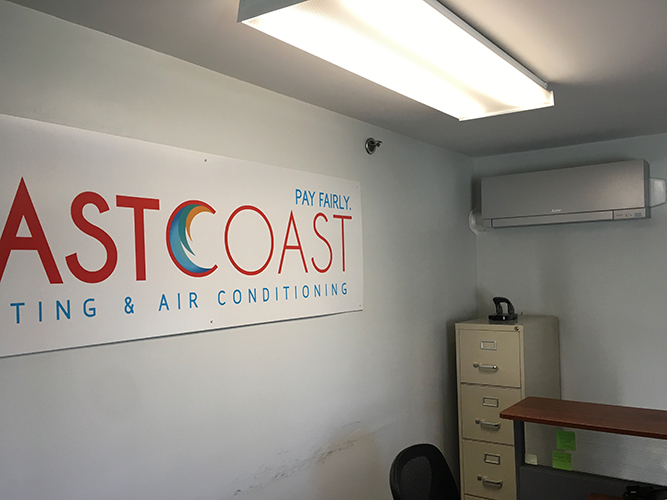 We utilized three ductless wall-hung units and two cassette ceiling units to get the job done and keep our staff comfortable year-round. 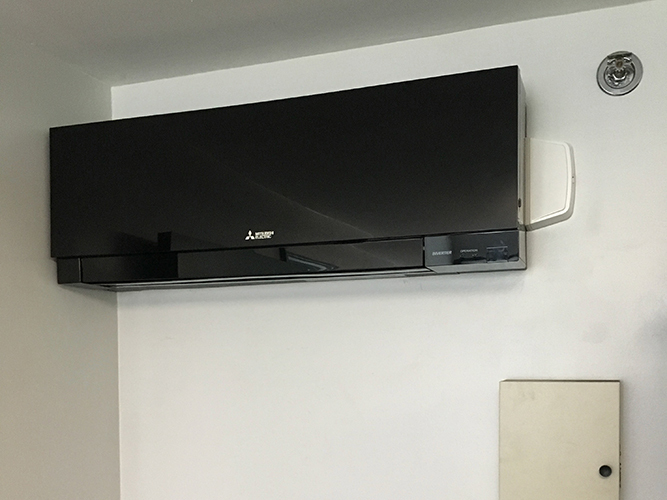 You may notice in the photos that we installed a couple of the new-style ductless heads, one in matte silver and one in gloss black. There is a branch box that helps to correctly distribute refrigerant from the outdoor unit to the indoor units. Additionally, we utilized the MHK1 thermostat controls for each zone, so that we can remotely monitor and make changes to our set points.